Thomas Bock (1790–1855), painter, engraver, lithographer and photographer. Born near Sutton, England, in 1817 as an engraver in Birmingham he was awarded a Society of Arts silver medal for engravings and miniature portrait paintings. When married, he helped procure an abortion for a woman whom he had seduced. Convicted, he was transported in 1824 to Hobart Town, then assigned to Dr E Bromley. 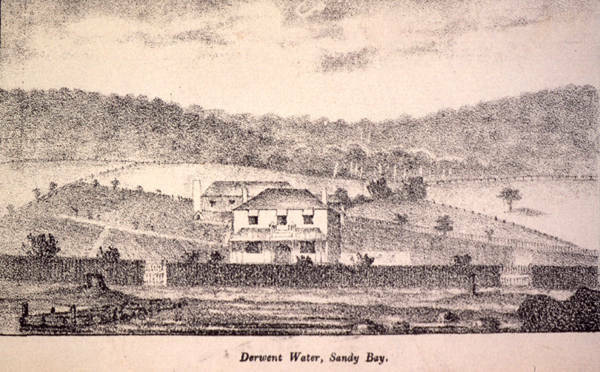 In 1825, Bock designed and engraved the first Van Diemen's Land Bank notes, and from 1829 to 1834, he illustrated colonial almanacs of Ross and Melville. He exhibited formal portrait commissions for wealthy patrons with their status symbols in watercolour, oil, pastel and pencil, 1831–55, and in 1832, Robinson commissioned fourteen ethnographic portraits of Aborigines (including Truganini and Mannalargenna). From 1850 until his death, Bock produced daguerreotypes. Further reading: ADB 1; D Dunbar, Thomas Bock, Launceston, .